< PREVIOUS Pity Your Poor Feet, Vintage Running Shoes are Cool Again! | article | NEXT >Playing Through Pain: Plantar Fasciitis Slows Angels’ Pujols... Again! 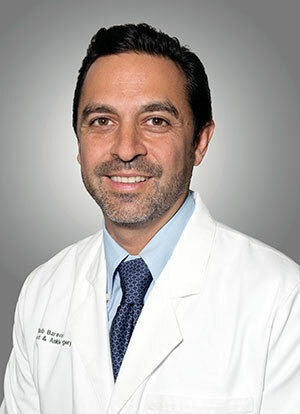 Bob Baravarian, DPM, will discuss the latest advances in conservative and surgical treatments of foot and ankle arthritis, including injection joint lubrication, arthroscopic cleanup, joint preservation surgery, fusion surgery and ankle replacement surgery. Space is limited and reservations are required. If you would like to attend a seminar, please call (877) 989-9110 to reserve your spot. All seminars are held at University Foot and Ankle Institute of Santa Monica: 2121 Wilshire Blvd. Suite 101, Santa Monica. University Foot and Ankle Institute is an internationally recognized center for comprehensive foot and ankle care. 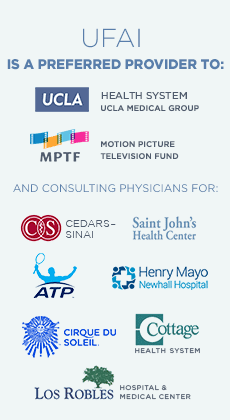 Our specialists have proudly provided advanced foot and ankle care to Southern California for more than 15 years are committed to retaining or restoring your active lifestyle! Previous: Pity Your Poor Feet, Vintage Running Shoes are Cool Again! Next: Playing Through Pain: Plantar Fasciitis Slows Angels’ Pujols… Again!